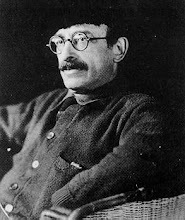 Alexander Berkman Social Club: Meeting on Thursday! Our topic this month is Anarchism and Sexuality and we've got a jam packed lineup for you. First up, the musical stylings by the beautiful and talented Jesse Quatro. Our featured speakers will be Joey Cain and Terence Kissack. Joey is a co-founder of the Edward Carpenter Forum and a member of Bound Together Bookstore and will be speaking on Edward Carpenter. Terence Kissack is the author of the Free Comrades: Anarchism and Sexuality in the United States, 1895-1917, recently published by AK Press. Terence will be speaking on the topic of his book, but with a focus on your friend and mine, Mr. Berkman. As always our meeting will include refreshments, (this time including snacks and maybe something more exciting to drink than coffee) time for socializing, raffles and more. All for the low low price of $5! very exciting! I had a lot of fun at the last event. Thank you for offering the meetings on mp3! Dallas is an anarchist wasteland, so it's great to at least be able to hear anarchist lectures, though I'd love to actually be there.